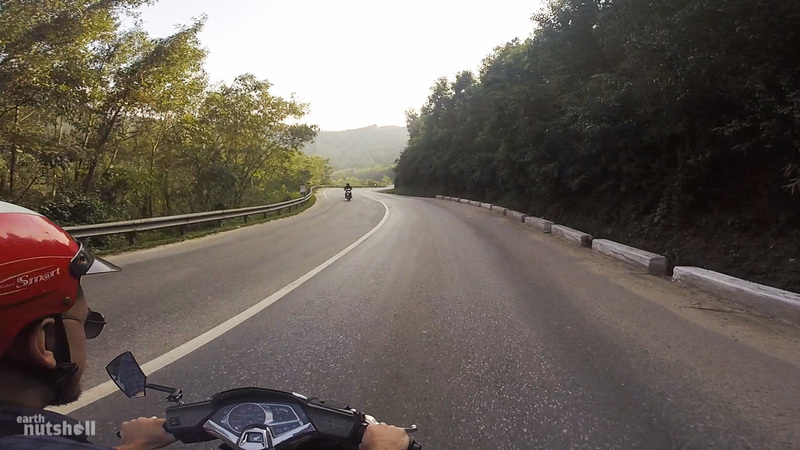 In a Nutshell: In my opinion, the greatest motorcycle day trip in not just Vietnam, but South-East Asia. You’ll depart Hue city, head south through Lang Co, Hai Van Pass and Da Nang before reaching Hoi-An on a varied cultural extravaganza of authentic Vietnam you’ll never forget! If you are visiting Vietnam, you can’t miss this motorbike day trip. It’s that simple. It certainly has my seal of approval as the best, most varied motorcycle trip of this length in Vietnam and frankly, I’d claim it’s the greatest motorcycle trip in South-East Asia. That’s a big claim. The reason is this: Nowhere else in Vietnam will offer you such a well-rounded window into the diverse local lifestyles, scenic variety and juxtaposition between modern and traditional Vietnam in a distance this short. It’s perfect for those on a tight schedule, but most importantly it gets you out of the cities and into real local life, which, after being enticed by photos, postcards and travel guides was the reason you got on that plane heading to glorious Vietnam. It’s straight into the deep end, but if you’re interested in a new experience, a porthole into true Vietnam relatively safely and comfortably then you can’t go past what I’m about to entice you with. Get out of the cities! There’s heaps more to see than merely 21st-century commercial Vietnam. So basically the point of this is that you’re travelling by motorbike. The feeling of ultimate freedom. 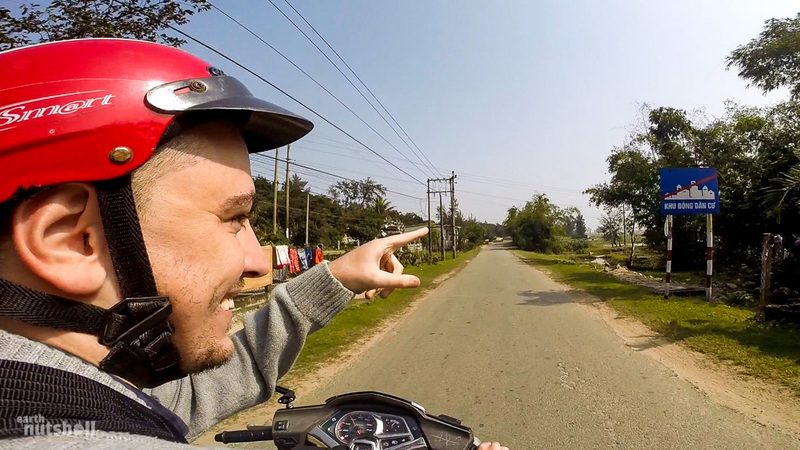 Riding a motorbike in Vietnam is par for the course, a bucket list item and an experience you’ll never forget, over 95% of the traffic in Vietnam is two wheels and the country is designed for it. You’ll be joining the locals directly, exposing yourself to Vietnam’s dry heat acclimatised only by the wind in your hair. Seeing Lang Co this way beats driving past it in a stuffy van awaiting your next toilet stop at a conveniently placed souvenir shop, you’ll have to trust me on that. Alternatively, you could instead cram as cattle into a bus of questionable structural integrity with no air conditioning, pointed inland, rattling straight down the dusty, dangerous, uninspiring AH1 highway. You’ll quickly realise this is just a boring highway, then, you will try to sleep it off, but the incessant high-pitched sound of bus and motorbike horns, plus the way your lungs have clogged with second-hand smoke from the Vietnamese driver finishing his fourth packet of cigarettes that morning while refusing to wind the window down will prevent you from a single wink of shut-eye. This eventually leads you to Hoi-An frustrated and heading straight to the bar, and, sadly, none-the-wiser to what you have missed out on. May I add, this is is disturbingly common. I’m going to be arrogant here and you’ll thank me: If you go down AH1 you are just transiting. You are leaving heaps behind and you are completely missing out. So if you have the time, don’t go down AH1 and follow this route. There! Keep reading. 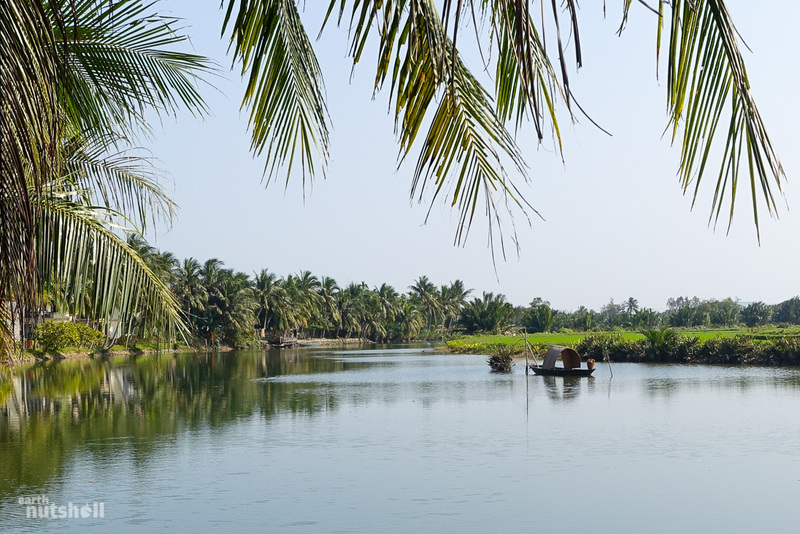 The route begins in Hue city on the central coast of Vietnam, and your destination is Hoi-An, about 140km to the south. You’ll head off the beaten track, down the coastal roads intersecting the tourist hubs of Lang Co and Da Nang, both conveniently linked by the stunning Hai Van Pass popularised in that Vietnam Top Gear Episode you remember. But…it’s between these two anchor points that’s the true icing on the cake. The fishing villages, the lush green rice fields, the water buffalo, the cone hats, the religious influence, lush flooded green rice fields, mountainous views, secluded sandy beaches, Pho as it’s meant to be made…and small town life as it’s always been. It’s all there, it’s all real and you can delve into it. All in one day. Hue farmland just outside the city. The countryside is relaxing and you’ll almost have the road to yourself! Not even one day, actually, you can do it in as little as 6 hours, at a relaxing pace too. But hell, why limit yourself to 6 hours? Make a two-day trip out of it, don’t rush at all and stay a night in Lang Co to break it up. Take the detours, embrace every photo opportunity, enjoy swimming an undiscovered beach while watching fisherman catch fresh seafood. Then eating it. Explore the village mazes to the novelty of the locals. Buy their genuine local products, get to know them as you eat more of their mouth-watering cuisine and don’t forget to drink their rice wine (responsibly!). It’s very rare you’ll pay local prices in Vietnam. But, with any luck, you will at village stops such as these, tourism is an untamed beast and you’ll feel quite out of place. Which is fantastic. It’ll be like Brad Pitt’s come to town. You’ve never quite waved at so many people. You have two options: You can either rent a motorbike to tackle it yourself (recommended!) or if that isn’t suitable, you can hire a driver. They are both great ways with their own pros and cons. If you hire a driver, he will supply the bike but the cost is considerably higher as you’d expect. Experiencing it is far better than missing out, though, remember that, so there is no shame in conceding to not riding a motorbike if you aren’t comfortable. There are many reputable operators offering drivers on customised trips out of Hue; I recommend Vietnam Motor Trail — ask for Quy, tell him I sent you, then when you visit, buy him coffee, lots of coffee as he tells you everything about Vietnam in his great English. Can’t recommend him enough. For those undergoing it themselves: Petrol is easily obtained in villages from locals, they will sell it to you in plastic bottles in the more awkward remote spots and there are stations in all the main village/town connections. The road conditions on this route are surprisingly fantastic. For the most part, it’s paved with some unsealed sections, but the potholes are easy to navigate without it being too rough on the bike. For this reason, you can even get away with making this trip on an automatic scooter. Rent one in Hue for just $10 a day including a full tank of fuel, you can then drop it off in Hoi-An for a small one-way fee. Just please, not a Vespa. It’ll be rough going. Get yourself something like a Honda Airblade (very popular) and you’re golden. I did it myself and didn’t have a problem. Some rental places don’t like you taking their city-slicker scooters out of the cities though, so make sure you are clear with your intentions when renting. I drove a Honda Airblade I rented in Hue. The roads are mostly paved, so even scooters such as this are fine for the journey! Why is this route so great? Unprecedented variety. Alright, so those large tourist hubs I mentioned, what do they offer? A lot. I’ll give you a run down. The Hue Citadel Flag Tower. It’s located at the front of the complex and it’s the tallest in Vietnam. Hue is my favourite city in Vietnam. Much of its population lives within the historic walled bounds of the Hue Citadel. This fortress is even surrounded by a moat sourced from the Perfume River snaking through the city, there are ten gates that allow entry. 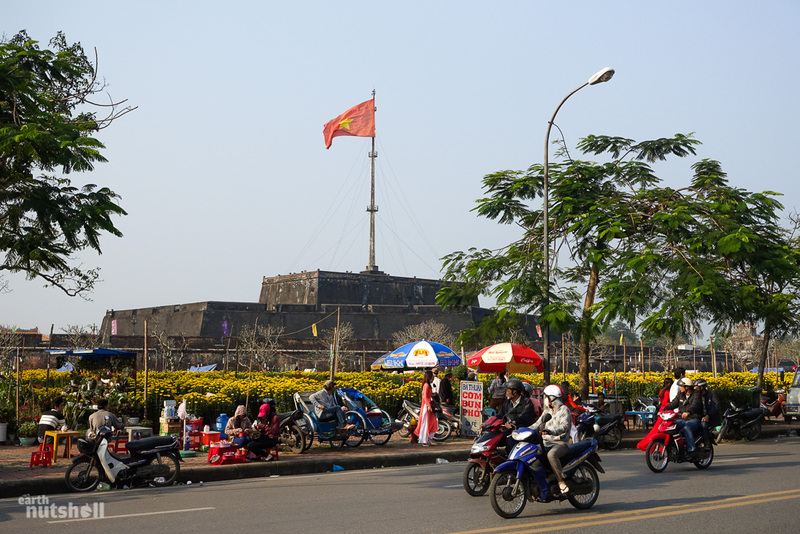 Hue is a comparatively small, quiet coastal city that was once the capital. Due to its central positioning, it was unfortunately hit hard during the Vietnam War. Lifestyles are conservative, right down to the bars and restaurants, which I find a welcome change in South-East Asia. It’s a relaxing, friendly atmosphere. The Royal Tombs of past Kings sit atop the marsh riverbanks, pagoda’s tower overhead, it’s just 8km out from the beach (unforgettable fresh seafood) and the jungle of detours take you onto scenic journeys into local life and the inland highlands are ingrained into a tour of Vietnam’s war history. How’s that for variety. Hue is an awesome launch pad. The street food can’t be missed either. You’ll become addicted to Bun Bo Hue (beef noodle soup – Hue style) and I ate more Banh Cuon Thit Heo (Rice paper rolled pork with peanut sauce) than I’m willing to admit. I’m not a foodie, but the cuisines impressed me here. Adventurous? Ech Xao Xa Ot. Fried Frog with Lemongrass. Tastes like chicken, kinda. Also, I have to add this: Most tourists only spend a night in Hue. Almost all itineraries follow that recipe, but you’ll have to trust me again here, they don’t know what they are missing. For those that are willing to take some responsibility for their own travel (that’s you), Hue is a gold mine for exploration. Local farmers pictured working in rice fields just outside Hue. 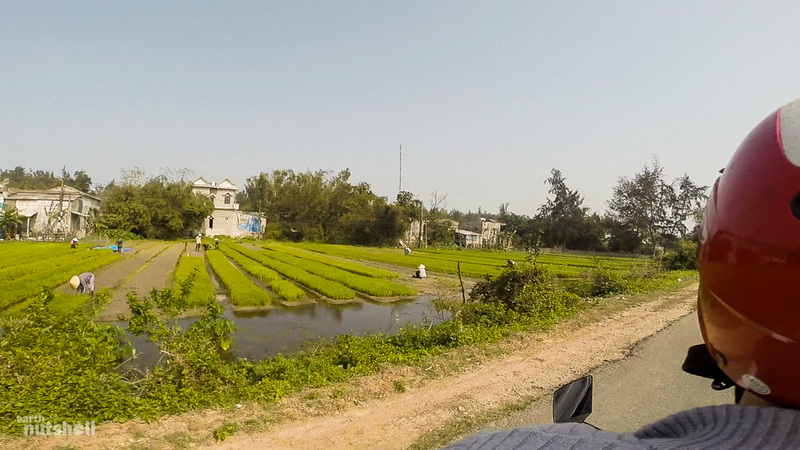 These postcard Vietnamese scenes are familiar all the way down the coast. Middle-left of the frame you can spot five water buffalo enjoying their flooded surrounds. This went on for kilometres. What a day! Heading up the mountain range before the descent into the fishing town of Lang Co.
Panorama of Lang Co, about as picturesque as it gets! A small picturesque fishing town, Lang Co is a weirdly shaped piece of land shielded by a lagoon on one side and over 10km of white sandy beach on the other. It’s flanked by stunning mountainous Vietnam, contrasted with modern day engineering feats and traditional fishing methods. From my experience, it’s a must stop for seafood so fresh you’ve seen them catch your meal just ten metres away from the comfort of the restaurant, many of which are located physically out in the lagoon and reachable only by their own jetties. Seafood restaurant located out in Lang Co bay accessible by the jetty. You can watch fisherman catch your meal after you’ve ordered. Lang Co is still quite underdeveloped, popular with local tourists more so than foreigners. However, it’s ideal for either lunch or dinner stop-off, a swim to beat the Vietnamese heat or a stay overnight if you’re travelling north to Hue. If you’re heading south, remember it’s only another hour onto Da Nang for more abundant accommodation and city life. They’re close but they’re like chalk and cheese. Locals setting up stalls outside their homes. Just another day at work in this remote township. Continuing, you’ll traverse the spectacular Hai Van Pass! 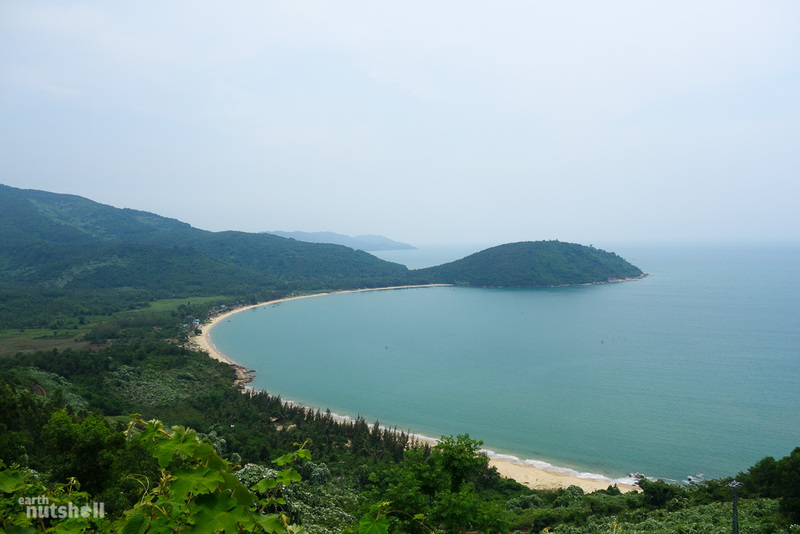 Hai Van Pass offers 21km of views just like this one as you traverse the hillside into Da Nang. The jewel of the region, one of the greatest ocean drives in the world. It’s a big claim and in this instance, I don’t need to borrow any more of your trust, as Jeremy Clarkson from Top Gear was quoted as saying those exact words. Hai Van Pass or in English “Ocean Cloud Pass” is a stunningly scenic route, etching hairpin turns and long straights high into the mountain range. To say the least, it lends itself to being best enjoyed by motorbike and this alone makes it worthwhile. Late afternoon, an eerie mist joins you, adding to the aura. It’s a fun road to navigate, I’m guilty of taking joy rides across it every chance I get. Luckily for you, the pass links both Lang Co and Da Nang, you don’t even need to go out of your way. There is very little traffic, there’s usually just a handful of motorbikes because the trucks, buses and other heavy vehicles are required at Lang Co to continue down AH1 through the tunnel instead. How unfortunate. 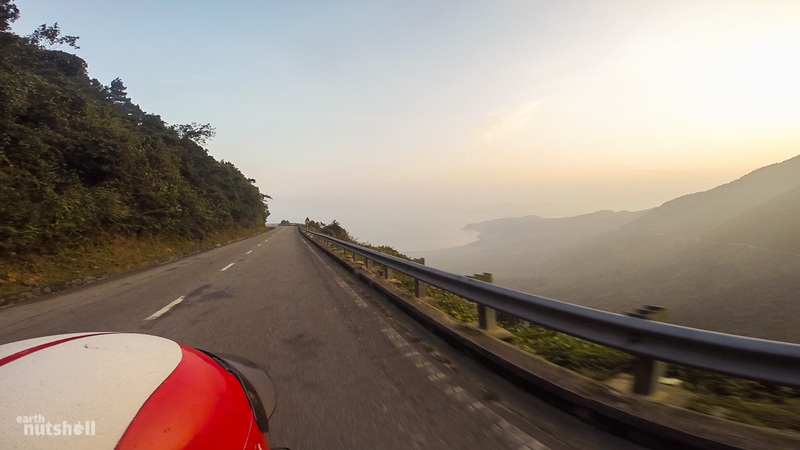 Hai Van Pass is quiet and relaxing, so embrace it at your own pace. Enjoy the postcard vistas and breathe the crisp ocean air for 21 kilometres of some of the best time you’ll ever spend on a vehicle. Try your best to avoid the herds of goats being transited by farmers on foot. Stunning views down to a secluded beach from Hai Van Pass. Beautiful. 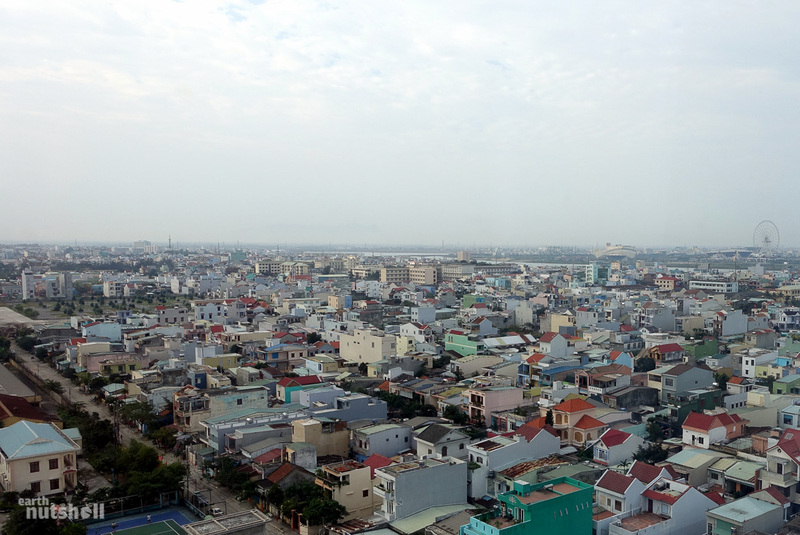 Colourful cityscape of Da Nang. The Sun Wheel can be seen to the right. Commercial high-rises are also on that side of the Han River. Da Nang is different. I love it. It’s the largest city in central Vietnam and provides a modern, commercial hub otherwise lacking to the region. Best of all, though, Da Nang avoids the tiresome commotion of Ho Chi Minh City yet still offers a charm unlike Hanoi in the form of a coastal beach paradise. You can relax here and just five minutes inland sits a stylish, clean and organised cityscape. The nightlife is bright and active. The cuisine is spectacular. Palm trees line the far stretched white sands backed by tall, block hotels reminiscent of an early Australian Gold Coast. The 72-metre ‘Lady Buddha’ stands dominant to the peninsula, she’s visible as you take a dip in refreshing blue waters. Just ten minutes south sit religious cave systems of limestone, the Marble Mountains, to an otherwise flat landscape. Da Nang’s eastern backdrop of Ba Na Hills is a perfect day trip too, if not just for the 6km world record cable car. The suitably named Dragon Bridge spanning the Han River. It actually ‘breathes’ fire each Saturday and Sunday nights. This is a portion of the Da Nang beach, popular with holidaymakers for kilometres on end. It’s lined with both palm trees, tall apartments and luxurious beach resorts. Does Da Nang sound like nowhere else in Vietnam? Certainly. A no-brainer to check out and visit? You’d be surprised — Da Nang is often overlooked or completely missed by tourists, in part because it’s outshined due to its proximity to the tourist haven of Hoi-An. But you now know better. 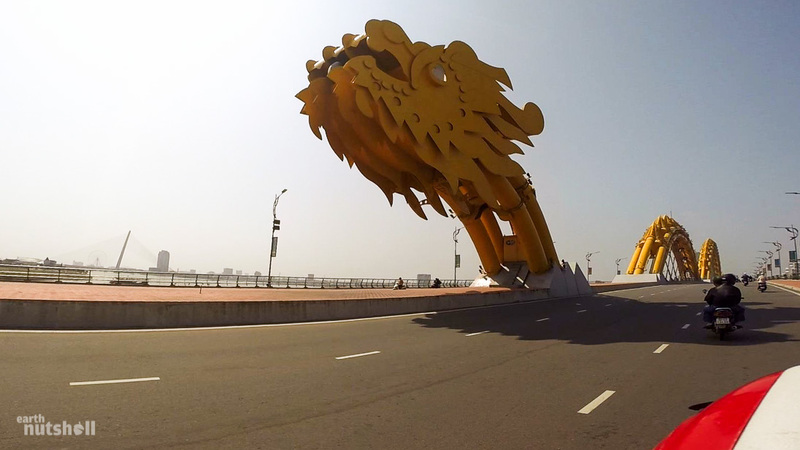 Integrate Da Nang into your itinerary, please. The final stretch passing beach front resorts into Hoi-An! Ditching the motorbike for a different set of two wheels to enjoy the Hoi-An river front, lined on both sides by endless culinary options and the cheapest beers in Vietnam. Hoi-An. The Vietnam tourist favourite that needs no introduction, but I’ll give you one anyway. It’s a mecca really, for good reason, I haven’t yet met anybody that disliked Hoi An. The ancient town and the focus of the tourist masses is a world heritage UNESCO site and seen as one of the best examples of 15-19th century Chinese and Japanese trading influences in Vietnam. If this means nothing to you, don’t fret, it just means there are old buildings set amidst lively, colourful, and mazey walking streets of food, shopping and culture that give Hoi-An a unique feel I haven’t otherwise experienced in South-East Asia. You’ll take a lot of photos here. You’ll also eat a lot of food. The famous Hoi-An lanterns brightening the main footbridge at night. Great atmosphere! 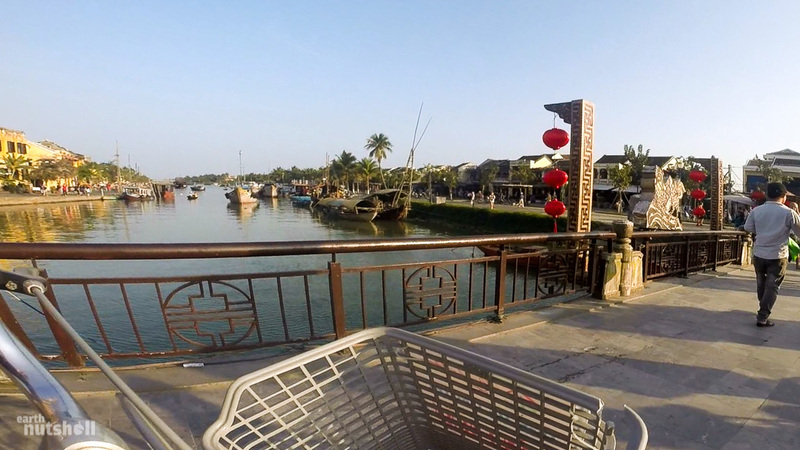 The riverfront is lined with a myriad of culinary options, so your daily struggle in Hoi-An will be making a decision. It’s tough. If you like fresh beer, it’s 3000 VND a glass ($0.14 USD), which is the cheapest I’ve seen in the country. One of the best parts about Hoi-An is that transportation is primarily push bike, a relaxing back pedal (pun absolutely intended) from the noise pollution you’ll be exposed to elsewhere. It’ll allow a peaceful discovery of the markets, locally made handicrafts and tailor-made silk clothing Hoi-An is so well known for. If you’ve been hustled for ‘tailored’ suits in Thailand, don’t let that shy you away from getting one done in Hoi An, most of them are quality, it’s an institution here. I still wear the leather shoes I had custom-made overnight here 4 years on. If the owners of these stores don’t find you first (they will), then just ask around. Accommodation options in Hoi-An are generally cheap and comfortable ‘home stay’ accommodations. While you’re here, don’t forget the opportunity to take cooking and handicraft lessons with the locals. Although touristy, these lessons are incredibly popular and it’s for no other reason than they do an excellent job. A picturesque scene of the Thu Bon River, just 10 minutes motorbike outside of Hoi-An’s Ancient Town. Just because you’ve reached the end in Hoi-An, don’t dismiss your motorbike, there’s lots to see. Alright, something to consider. I’m going to play the role of your mother. Riding a motorbike in South-East Asia is dangerous. Don’t let anybody tell you otherwise. Heed this advice: If you’ve never ridden a motorbike or scooter before, Vietnam is not the place to learn. Country-wide, there are an estimated 40 road deaths a day. The majority occur on the highways, where high speed, neglected vehicle maintenance, poor road conditions and careless driving take their toll. I’ve witnessed countless accidents, some quite horrific, foreigners regularly wear their story physically. It’s not a joke, guys, neither you nor I are invincible. If anything terrible was to happen on this route, you could be about two hours away from the nearest hospital in Hue or Da Nang. Ambulance response times are not like London. Keep this in mind when those locals offer you that potent jungle juice halfway between Hue and Lang Co. When you visit Vietnam, you’ll quickly realise traffic in Hanoi and Saigon (Ho Chi Minh City) is insane. You’re easily bottlenecked into it whenever you are on the road. 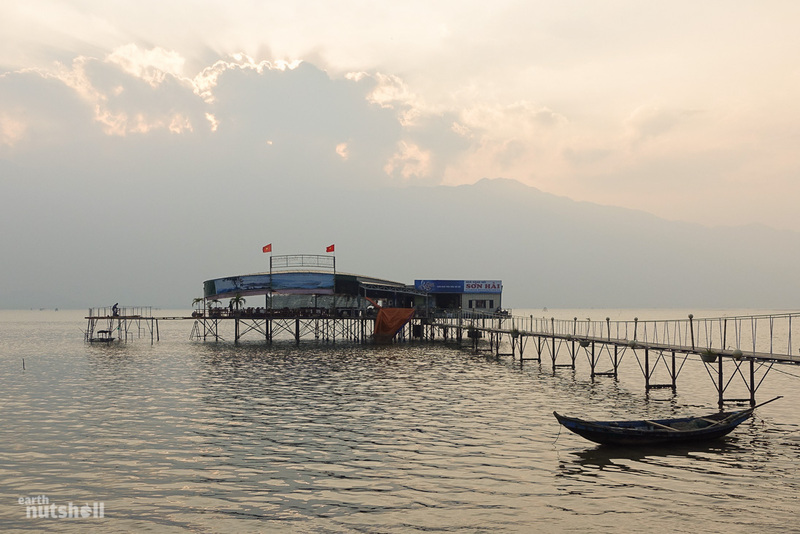 Luckily, this route from Hue avoids having others breathing down your neck, you also avoid the dangerous highways and instead hug the quiet, safe coastal roads dissecting villages and farmland which are populated only by those that live there. They’re more of single-lane paved paths than sealed roads — very little traffic, glorious riding. You aren’t entirely safe, though. There’s water buffalo to dodge, cows to weave between and from Vietnamese testimony, rogue pigs tend to enjoy lunging into traffic. Apparently they are “as solid as a rock and become more aggressive when hit.” That’s a direct quote. I don’t recommend investigating. Chances are, if you’re visiting Vietnam you’ll cross through Hue city. After enjoying the itinerary favourites in Hue including the Imperial City, Thien Mu Pagoda and all of the Royal Tombs, you’ll likely be bored of these barely relatable historic sites, lack time to explore the back alleys for yourself and have no chance to see the war history or eat the delicious food, instead being enticed into ‘cheapest deal for you, you pay cash now we give you good deal’ tourist bus by a street hustler with a pop-up van business (he borrowed it from his cousin) and cruise off to Hoi-An with every backpacker around you. It’s the ‘done’ thing. If you’re open to some self-directed adventure, game enough to embrace the Vietnamese roads and have an insatiable appetite for seeing Vietnamese culture as it was, is, and likely will be into the future, you’ll be suitably rewarded with this short motorcycle trip encapsulating authentic Vietnamese lifestyle, stunning countryside scenery and everything in between. This is usually unheard of in just one to two days. But, now you know, and whether you’re in Vietnam for one week, two weeks or three months, this motorbike journey is for you and one of the best in South-East Asia. Oh and I know, yes, it’s extra effort. It’ll require a bit of organisation and maybe a step outside your comfort zone, but I promise you’ll get out what you put into it. This is what travel is about. P.S If you have done this trip, or one similar within South-East Asia I’d love to hear your thoughts. So share it with me in the comments below! Interested in Vietnam? More coming soon! Follow me on Facebook! Hi Elliott: Great post! Are deposits or passport surrender generally required for multi-day rentals? Thanks! What a great write up you have done on the Hai Van pass. I own a small scooter in Australia and done a small amount of riding in Sapa,Cambodia and Laos which were all so very memorable trips. To some degree i have i initially done this in ignorance as i thought i was covered by my international liecence. As you correctly point out and i now realise that it counts for zip,………..my concern is however i am going back over in August and would love to do the route you did but am a bit spooked by police picking me up and being unliecenced. The bike renal place in Hoi an assures me i will not have any problems??? Can you throw any further light on the liecence risk i Vietnam please. Once again I love your write ups. Hi Noel, I’ve never encountered any traffic police on this route. They tend to set up checkpoints on major traffic links such as highways and pull over the low-hanging fruit like buses and trucks that aren’t adhering to ‘regulation’, or in tourist hotspot areas like Mui Ne and Nha Trang. You’ll be unlucky if you had any problems. If you do: Be the ignorant foreigner that doesn’t speak Vietnamese, try to prevent handing across your passport, and carry a 20 USD note with you. I’m currently planning my trip to Vietnam with my friends, group of six. We were thinking of doing the reverse, Da Nang to Lang Co and back. All of us haven’t rode on any bikes before, do you think it will be safe to ride up through the Hai Van Pass to Lang Co and back? 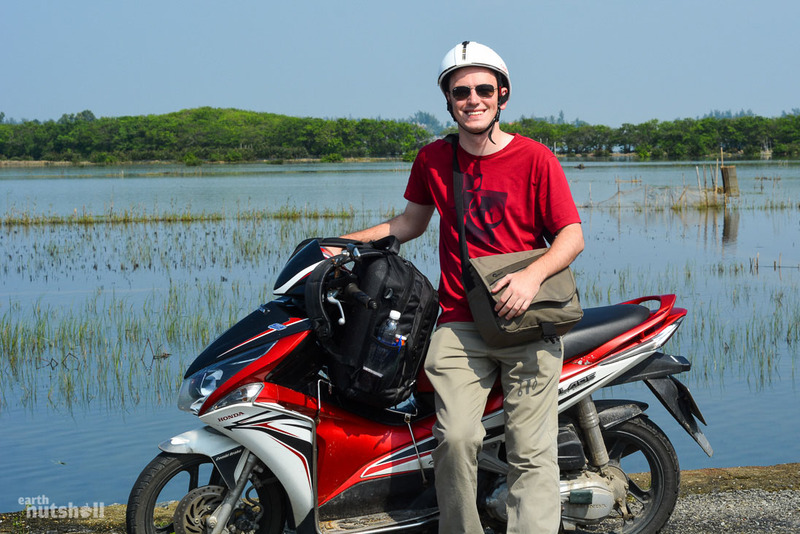 Hi Keith, it’s hard to recommend learning to ride in Vietnam and I stand behind the disclaimers in this article, they’re worth considering so you and your friends can make the best judgement. But for your reference, you should expect heavy traffic in central Da Nang at all hours — the intersections and roundabouts here may be difficult for beginners to tackle without riding experience in Vietnam as it’s certainly a breed of ‘organised’ chaos. Once you reach the road on the beachline you’ll have a much more relaxed time, it’s less congested and from there you just follow the road across one intersection and a causeway before all heavy-traffic (eg. buses/trucks) leaves you for another route. As for Hai Van Pass, it’s a breeze, there’s nothing to worry about except herds of goats! 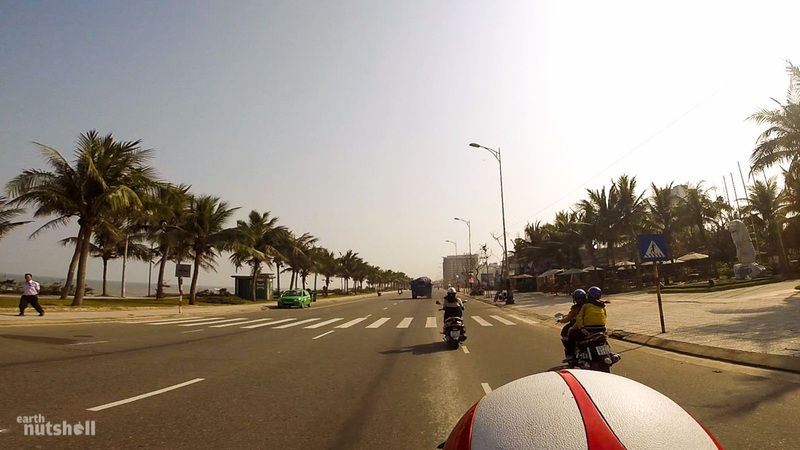 Ensure you honk around blind corners though, it’s the Vietnamese way of letting people know you’re there. Also, be wary of the hustlers awaiting tour vans at that panoramic Lang Co spot at the tail end of Hai Van Pass, you’ll see when you get there, haha. Enjoy the trip mate, all of you will love it. Any other questions feel free to ask. Thanks for the super helpful info. 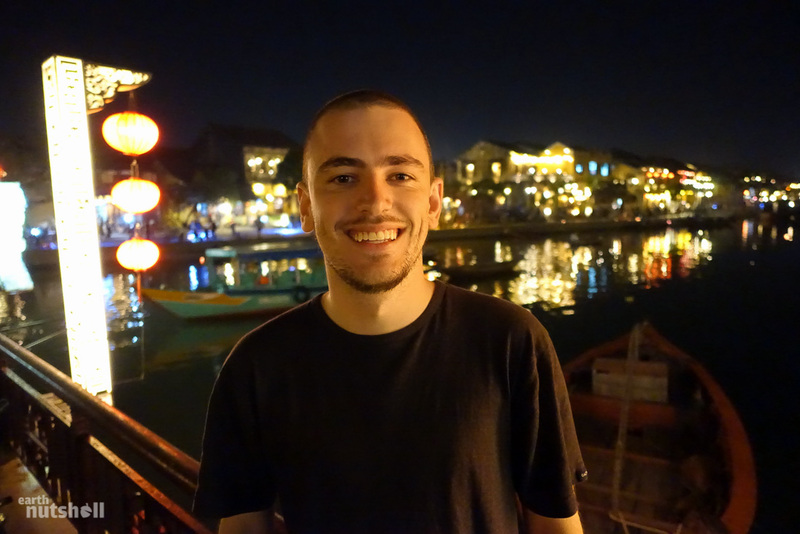 I was wondering if you knew whether it’d be possible to do this trip in reverse (renting a motorbike in Hoi An and driving up to Hue)? I assume this would be just as easy to do but wanted to make sure. Hi Adam, it’s just as easy to organise in reverse, don’t worry. But just as from Hue, you’ll need to find a rental place that does one-way drop-offs. Many don’t allow this and some don’t even like you taking the bikes out of the ‘city’ in both Hue or Hoi-An (some sections between Hue/Hoi-An can get pretty rough on these city slicker mopeds). So just ask around and be honest in your intentions and expect to pay a one-way fee which is standard. You also can’t go wrong in asking your hotel reception as they will know straight away (and may even rent you bikes themselves). One-way trips on this route are now a very common request, particularly since Top Gear, so you’ll quickly come to an agreement. I’ve also had a lot of luck renting bikes directly from locals in tourist districts, it’s a good little money earner for them, the bikes are generally in a lot better condition and you can attempt to organise on any terms you like. Just always be careful – International Drivers Licenses are useless in Vietnam which almost always makes travel insurance void. But from what I’ve heard lately, if you are national that’s a signatory to the Vienna Convention then it’s a grey area. Hope this helps mate! Hi Elliott, new reader here! And I can’t help but to reply to this post to share a similar experience! I couldn’t agree no more that self-directed adventures make the best journey ever! Also saves money and time although one has to be really brave to ride that thing in SEA! Just a question, did you drive alone? Because the whole time, we could only rely on Google maps for directions but Google maps in Vietnam didn’t provide turn by turn navigation so I was lucky to have a travel buddy with me to provide me the directions because like you, I usually prefer travelling solo too! Anyway, I had found another interesting travel blog yay! can’t wait to finish reading your North Korea diaries! Hi Rochelle, thanks for your comment! Although it’s daunting at first, I bet you are glad you took the plunge :)…and you are both brave souls to take on Hanoi and Saigon in particular, but I’m sure you noticed the method to the total chaotic traffic madness haha. I’ve driven this route both alone and with others, the navigation was reliant on my iPhone using Google Maps as well (how lucky we are…and the 3g is great!) but I never used the turn navigation. Some of the roads weren’t correct either, but the location tracking overall is very accurate, if I was unsure I’d just stop over every now and then and check the map to get my bearings. On this particular route, I wasn’t all too concerned because worst case is you can just follow the coast — other than a few uninviting dirt roads that were actually the correct way, of course! But hey, it’s part of the adventure, there are far worse places to get lost than in Vietnam :P. In saying that, having a travel buddy is invaluable, and frankly as much as love solo travel, I could never recommend someone travel alone by motorbike, especially in Vietnam, flat tires can be common but the major concern is potential accident leaving you stranded in quite remote areas without an English speaker or regular passerby’s, the traffic is very much concentrated to the AH1 highway and in cities, it’s quite lonely when you get out a bit in Vietnam as I’m sure you experienced. It’s great! Thanks for you great post, amazing pics and such descriptive language. My girlfriend and I are doing this trip tomorrow (last minute, instead of the train), from where would you recommend booking a bike in Hue? Hi Stuart, Merry Christmas and I’m glad you enjoyed the post — hopefully this reply is still relevant to you today. 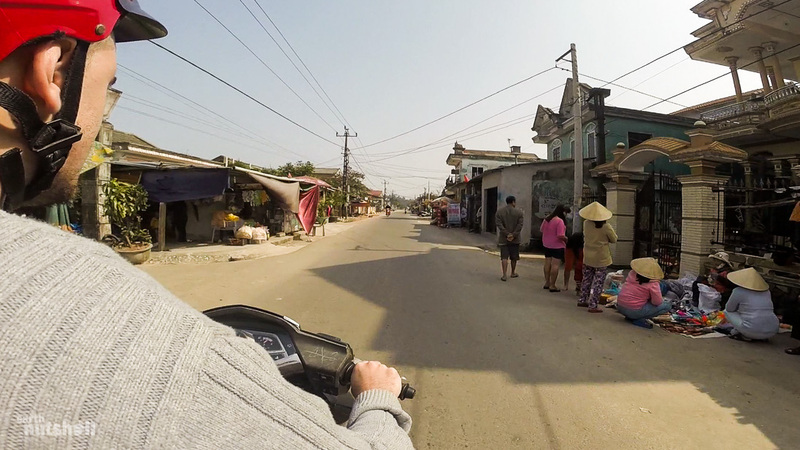 Renting a motorbike, especially a scooter in Vietnam is very easy with enough time as everyone either owns one themselves or knows friends willing to part with it for a day to earn some pocket money. If it wasn’t last minute, I’d say to speak to your hotel reception as they can organise it from themselves, friends or a third party that services that hotel for a cheaper rate, however with limited time I’d be inclined to head into one of the physical tour/bike rental places down Le Loi (the road parallel to the river) towards the Pham Nhu Lao (main tourist/restaurant street) end. There are quite a number of tourist information/services down this street including bike rental, one I distinctly remember was Motorvina; however I can’t vouch for them personally. Either way, you’ll pay more as it’s focussed towards the tourist masses but it shouldn’t be more than $30-40 USD one-way with a guaranteed drop-off at the end in another branch of the same name. You can even organise for them to take your luggage separately to the hotel in Hoi-An, allowing you to ride without the bulk. 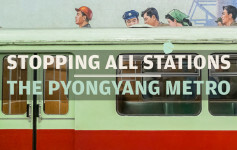 Hope this helps and that you’re enjoying Vietnam – you’ll get a lot more out of this ride than just taking the train!